The archaeologist who helped discover the extinct Homo species Flores Hobbit, Professor Mike Morwood, has died after a struggle with cancer. New Zealand-born Professor Morwood, who was based at the School of Earth and Environmental Sciences at the University of Wollongong, was also a world expert in Australian rock art. Professor Morwood was based at the University of New England in 2003 when he and a team of Indonesian researchers excavated the Liang Bua Cave on the island of Flores and found a set of curious bones that came to be known as Homo floresiensis or the Hobbit. The discovery would eventually lead to a radical reassessment of human evolution. “He was interested in the big questions about happened in human evolution. We know Homo erectus was Indonesia but they never made it to Australia, while Aboriginal people did. So uncovering what happened in between was his real interest and that’s why he ended up on the remote island of Flores,” said Alice Gorman, lecturer in Archaeology at Flinders University, who knew Professor Morwood personally. “It wasn’t like he walked into a cave and saw a new species. It required a huge amount of research, and a massive excavation, in order to piece together the evidence,” she said. “There was something obviously different about them and they had to rule out the possibility that these bones belonged to children or somebody with some kind of medical condition,” said Dr Gorman. Dr Gorman said human archaeology usually centred around two theories: that all humans began in Africa or that there were several races of humans developed concurrently around the world. “When the Hobbit was found, it was a whole new element to consider in those competing theories,” she said. Professor Morwood was also a leading expert in the field of Aboriginal rock art and contributed greatly to our understanding of Australian ancient history, particularly in Queensland, said Dr Gorman. “He really was one of the leaders of the profession in Australia. He took his responsibilities in communicating science to the public very seriously,” she said, adding he inspired a generation of archaeology students. Professor Morwood was a former president of the Australian Rock Art Research Association and a Fellow of the Australian Academy of the Humanities. 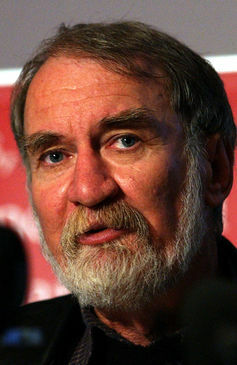 He completed his PhD at the Australian National University on the rock art and archaeology of Queensland in 1980. In 2012, the Australian Archaeological Association awarded Professor Morwood their highest honour, the Rhys Jones Medal for Outstanding Contribution to Australian Archaeology.